Crêpes either for breakfast or dessert can chalk you up some serious chef points if done correctly. If not done properly they can also leave you with a stiff un-attractive thin pancake. 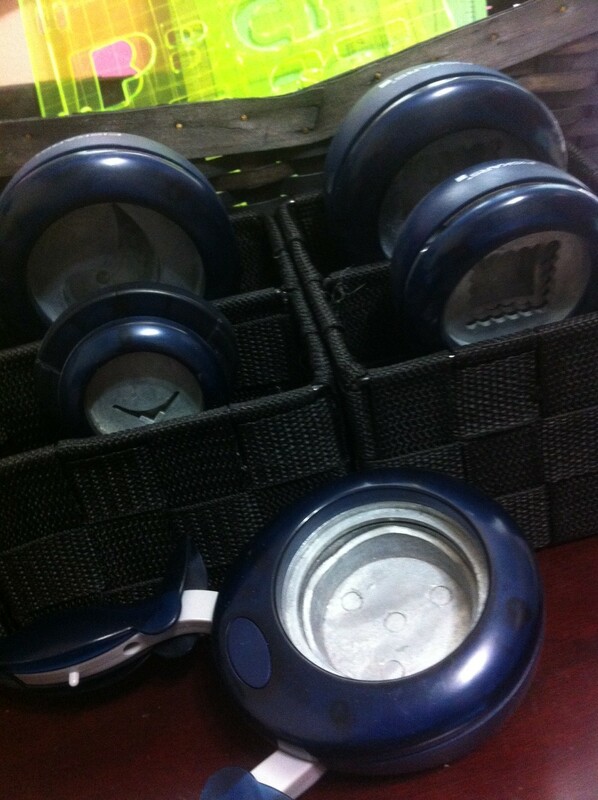 In my experience I’ve made both kinds and have gone through 4 different recipies trying to get them perfect (you know what I’m talking about…that great texture, thickness, and ability to stay stuffed without falling appart). Well here is my recipie for perfect, easy crêpes. 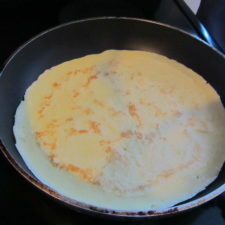 *Makes 3 large (pan sized) crêpes or 4 – 5 small crêpes. For more simply double the recipie. 1. 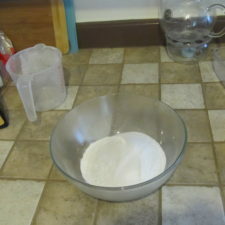 Add all dry ingredients in a large mixing bowl. 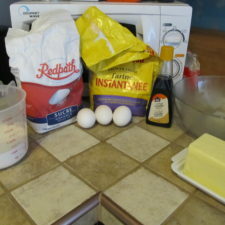 Mix flour and sugar together. 2. 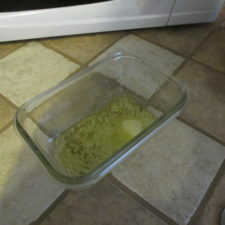 Measure out all wet ingredients and melt butter. 3. 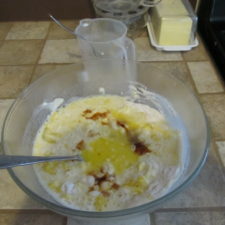 Add all wet ingredients into the bowl and start mixing everything together. 4. 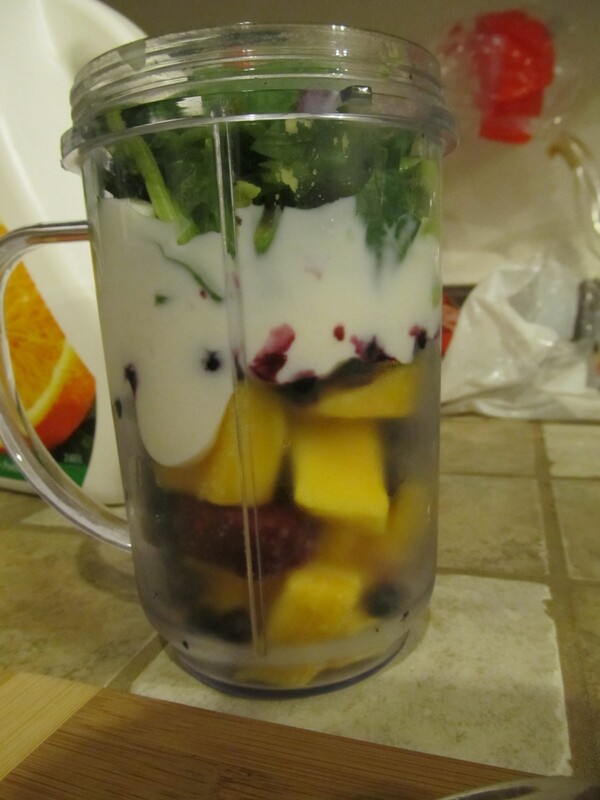 Keep mixing until everything is blended together with no lumps. 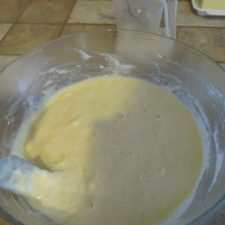 You will see tiny bubbles forming on the top of the batter which will normally indicate that the batter is ready for cooking. 5. Time to butter your frying pan and turn the stove onto medium heat. 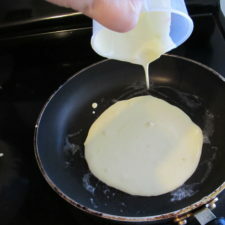 Once ready pour about a cup into a large pan (half cup if you are making smaller crêpes) make sure that the batter is spread out thin as you do not want a thick crêpe. 6. 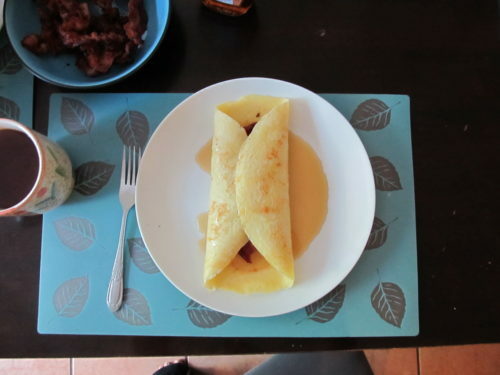 Make sure to check that you do not over cook or burn the crêpe. Unlike pancakes these should not be dark brown in colour. 7. Simply repeat the cooking process until all the batter is gone! 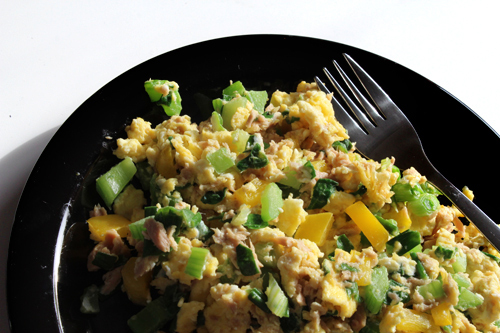 You can serve these for breakfast stuffed with fruits and bacon. Just don’t forget the maple syrup! 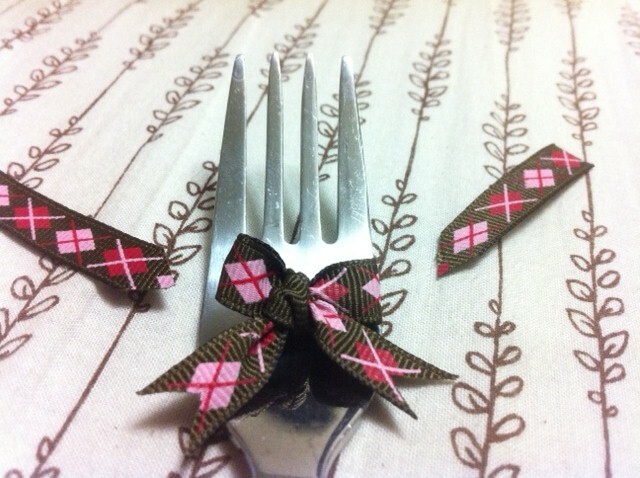 They also make a great dessert option served with fruits and topped with chocolate and ice cream.